Sergei Chapnin: What are the consequences of the refusal of the Russian Orthodox Church to take part in the Pan-Orthodox Council? The Pan-Orthodox Council, which is officially called “Great and Holy,” will not take place as planned. It has disintegrated before our eyes just two weeks before it opens. Of the 14 local Orthodox Churches, four have refused to attend. And even those which have not refused to attend are fiercely critical of the prepared documents. What has happened? Can it be that the problems and internal conflicts in the Orthodox world are so serious that it is no longer possible to hold a Council? Theological and historical problems are here closely intertwined with church politics. On 13 June, an extraordinary session of the Synod of the Russian Orthodox Church was held. One single item was on the agenda: to go or not to go to the Pan-Orthodox Council. The prognosis was negative but some hope still remained. In the end there was nothing sensational. The Synod reached a decision not to take part in the Council and gave a far-reaching explanation of its position. But whatever the arguments, the main result is clear: the Patriarch of Moscow has torpedoed the running of the Council. This Council will no longer be authoritative, even though Bartholomew, Patriarch of Constantinople, the first among equals in the Orthodox world, is determined to see it through, no matter what. Earlier, the Bulgarian, Antiochian, and Georgian Churches had refused to participate in the Council. The formal reason given was a serious critique of the documents. It appears that there were many theological objections, even though preparation for the Council had been going on for the past fifty years, and several generations of bishops and theologians had been preparing these documents. The final versions of the Council documents were published at the end of last winter, and elicited a serious critique not only from Orthodox fundamentalists, but also from moderate hierarchs and academic theologians. Questions of dogma associated with the fundamentals of Orthodox doctrine are not examined in these documents. The central part is taken up with questions of ecclesiology—how the Orthodox Church sees itself in the contemporary world. These presented a number of problems. The document which has been criticized most of all is the document called “Relations of the Orthodox Church with the Rest of the Christian World.” Traditional Orthodox ecclesiology clearly regards all other Christian groups and communities as being heretical. This applies to Catholics, Anglicans, and Protestants. At the same time, in the 20th Century, as a result of the development of the ecumenical movement, contact with them has been actively improving, and the expression "Christian churches and confessions" has become normal. Critics of of the document, have proposed to refuse the use of all innovations and to return to the traditional attitude to those Christians who do not belong to the Orthodox Church, in particular the Bishops Council of the the Russian Church Abroad: "Nowhere in the text is the separation between Christians defined, in terms of the rules of the Holy Fathers and the canons of the councils, as a consequence of schisms and heresies (what is even more surprising is that these terms are completely absent from the text).... Instead of this, the document adopts the quasi- ecclesiastical approach, according to which the divisions are regarded as a form of broadly understood ‘Christian unity’....which is applied far beyond the boundaries of ‘the One, Holy, Catholic, and Apostolic Church’ and includes many other confessions” (1). What do these apparently abstract arguments have to do with real life? Everything. In February of this year, Patriarch Kirill of Moscow met with the Francis the Pope of Rome. Many called this meeting historical, and there were hopes of a new stage in cooperation within the Christian world. However, if the document on “Relations of the Orthodox Church with the Rest of the Christian World” does not preserve its fundamental principles, then the meeting with the Pope will be classified as a meeting with a heretic and should be condemned. Active cooperation with Catholics and Protestants in the sphere of education and charitable work will be put in doubt. Of course, to some extent it will be retained, but it will be in clear contradiction with the the official position of of the Orthodox Church. Another example of contention concerns the document "The Sacrament of Marriage and its Impediments," specifically paragraph II.5.i. The Church of Georgia is critical of most of the documents and proposes to exclude from the document on the sacrament of marriage the concluding part of the paragraph on marriage with non-Orthodox: “[T]he first part which states that, ‘Marriage between Orthodox and non-Orthodox Christians is forbidden and is not blessed in the Church, according to canonical akribeia (Canon 72 of the Quinisext Ecumenical Council),’ is correct, but the second part which states that ‘such a marriage can be blessed by dispensation and out of love, on the condition that the children born of this marriage will be baptized and raised within the Orthodox Church,’ should be excluded, as it contradicts Canon 72 of the Council of Trullo"(2). It is well known that no council can challenge, annul, or change a single canon of the recognized Ecumenical Councils. This is clearly at variance with the practice followed by many churches. One simple example: imagine that some ruler of Russia has a daughter, who lives in Holland, and intends to marry a Calvinist Dutchman. The pious ruler asks the Patriarch of Moscow to conduct the marriage service. But the Patriarch refuses, saying that in 2016 a decision was taken not to bless marriages with non-Orthodox in an Orthodox Church. The ruler is aggrieved, and the Patriarch, on seeing this grief, begins to think how to circumvent this ban. Does the Patriarch need such problems? I think not. In other words, the Council will be discussing questions which will seriously influence the situation of the Orthodox Church in the contemporary world. The Council has been in preparation for 55 years, and, from time to time, the theme of hastiness arises in the memoirs of its participants. The Serbian Archimandrite Justin Popovich, following the first pre-conciliar meeting in 1976, asked “What is the urgency and where will it lead?.” On 12 June, 2016—that is, forty years later!—Metropolitan Hilarion Alfeyev announced: “If we feel that preparation is not yet complete, that there still remain some unclear questions, it may be better to postpone the Council, rather than to go ahead with it in haste.” One begs to ask, what have you been doing for the last forty years? Where are the documents that had been composed, edited, and discussed? They barely exist. The outcome has been, to put it mildly, somewhat pathetic. Serious preparation for the Council actually began two years ago, and all the Orthodox Churches took the decision to hold the Council in June 2016. This was freely decided—neither national states nor international organizations put any pressure on the bishops to hold this meeting. The decision on the Council was finally adopted in January 2016, and the date for the Council was set for Pentecost 2016. Suddenly, several churches, two to three weeks before the commencement of the Council, refuse to participate. What is the matter? Are there any reasons serious enough to justify such a decision? Of course, the leaders of the churches have spoken of theological and political and even economic reasons to justify their withdrawal. But something else is clear here. At the root of these explanations there lies something quite unexpected, even shameful to mention: irresponsibility. For more than half a century, the Orthodox Churches have been holding conferences and meetings, established commissions, written agendas, and confirmed projected documents. During the past two years, there was unanimous confirmation of the dates set for calling a Council. It would seem that in such circumstances it would be impossible to refuse to participate in the Council. These are not decisions taken by private individuals—these are decisions taken by the highest church authorities, synods, and councils of the local churches. If the main problem is with the documents, then put forward your own amendments. If there is a problem with the procedures of the Council, change them. If you don’t like the conduct of the Council, and you see that all possibilities of changing it is have been exhausted, then get up and walk out of the meeting. At the same time, a much more serious problem lies behind this refusal by the churches. If the churches have arrived at some decisions, and then can so easily repudiate them, then what other resolutions can Orthodox Churches refuse to be responsible for? What else can they refute so easily? To refuse to attend the Council is a serious blow to the authority of Orthodox Churches and the hierarchy of these churches. There was a clash of two conceptions during preparations for the Council. And such a clash was inevitable. On the one hand, there are those who consider that the ultimate purpose of the Council is its result. The quality and meaning of the Council will be judged by which documents and how many will be adopted. The result must be as clear as possible, and include the ratified documents. If there are no documents, there is no point to the Council. On the other hand, there are those who consider that the Council is above all a process. The most important thing is to meet and launch discussions together. It makes no difference which documents will be accepted at the first session or if they will not be accepted at all. The Local Council of 1917-18 sat for 13 months, and were it not for the October Coup, would have continued even longer. The work of Vatican II lasted three years. It is unlikely that a Pan-Orthodox Council can be restricted to one short meeting. Conciliarity (Sobornost’) is a slow and complex process. In the periods between sessions, the secretariat and special commissions must work hard. Documents have to be revised again and again. The bishops could then meet in six months, or a year or two, and accept the documents in their new version. As a first step, it is important to learn to talk to one another, not do evade discussion, not to look for excuses to avoid serious conversations. The first approach fits well with the church understood as a party united by a single ideology. If a meeting is to be held at the highest level, then such a meeting must have final documents with clearly stated positions. The trouble is that there is no unified Orthodox ideology. The Orthodox live in widely varying environments, as, for example, in Lebanon, Russia, and the United States. It is noteworthy that all those churches which have refused to participate hold this postion. The documents are the main criterion for the success of the Council. If the documents are still unfinished, then there is no point in going. Even more noteworthy is the fact that with the exception of Antioch, all the other churches refusing to attend are from the former Soviet sphere – the Russian, Georgian, and Bulgarian Churches. It is obvious here that the legacy of the Soviet past has not yet been expunged. The church is thought of as a substitute party. Ideological unity, based on formally accepted documents, is the most important criterion of unity. It is too soon to say which other churches belong to the second group, but it is clear that this position is shared by Orthodox theologians from various jurisdictions and countries. Patriarch Bartholomew has decided to proceed with the Council, despite the absence of four Orthodox Churches. Let us now see what strategy he will adopt. Of course, the Council will no longer be either “Great” or “Holy,” but he can still play a role as a unifier. After all, there still remain ten of the fourteen churches. That is a clear majority. The second principle player on the Orthodox world stage, the Russian Church headed by Patriarch Kirill, which has refused to attend the Council, automatically becomes an opposition, and will have to develop its game by positioning itself against Constantinople. That is not so difficult, as the opposition between the Phanar and Moscow is a policy of opposition which has gone on for many centuries. How productive this will be, given the present situation, is another question. But the main result of the “non-Council” will be disappointment. Disappointment for the majority of the laity, clergy, and even part of the episcopate. The disunity of the Orthodox world is monstrous. And this “hopeless absence of unity” has frightened many Orthodox in many countries of the world. What could have been dismissed earlier is now obvious for all to see. And not only for the Orthodox. 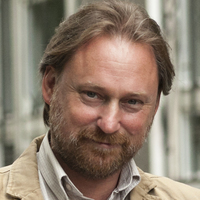 Sergei Chapnin was Managing Editor of Journal of the Moscow Patriarchate until December 2015. From 2010–2014 he served as a secretary for the Commission of the Moscow Patriarchate on Church, State, and Society. He is one of the founders of the Church Builders Guild and leads several projects on ecclesial arts as a board member, publisher, and editor. This article was translated for The Wheel by Protodeacon Peter Scorer of the Parish of the Holy Prophet Elias, Exeter, U.K. Newer PostSergei Chapnin: The Demolition of the Church Legacy of Russian Emigration: How It Is Done.